Normal construction loans can be a total monster. When construction loans go wrong, they can end up being incredibly expensive. To start, they are usually short-term loans that are only designed to get you through the construction phase of your home. Once your project is complete, you have to refinance the construction loan and get a normal home mortgage, like a conventional or FHA home loan. Because of this, doing major construction means potentially paying for closing costs on two loans & wasting thousands of dollars. On top of that, construction loans usually have variable interest rates, which can be risky. As if that weren’t bad enough, construction loans are also generally hard to get. Zack has a great breakdown of what it takes to get a construction loan. It’s pretty rough. Construction loans require a large down payment and a high credit score, making them difficult to qualify for. These costs don’t take into account things like property taxes or homeowners insurance. Both of these items increase the cash requirements significantly. If cash isn’t an issue, your next hurdle is your credit score. According to that same Zacks article, you need a score of at least 680 to get a construction loan. For loans greater than $417,000 that minimum FICO score bumps up to 700. Combine these requirements together & you realize that construction loans aren’t a viable option for many home buyers. First time home buyers in particular would have a hard time making this work. To make rehabilitating, remodeling, or renovating a home more accessible, the FHA created the 203(K) Rehab Loan. Officially called the “FHA Section 203(k) Rehabilitation Loan”, it was created to make home improvement loans more accessible to the average person. 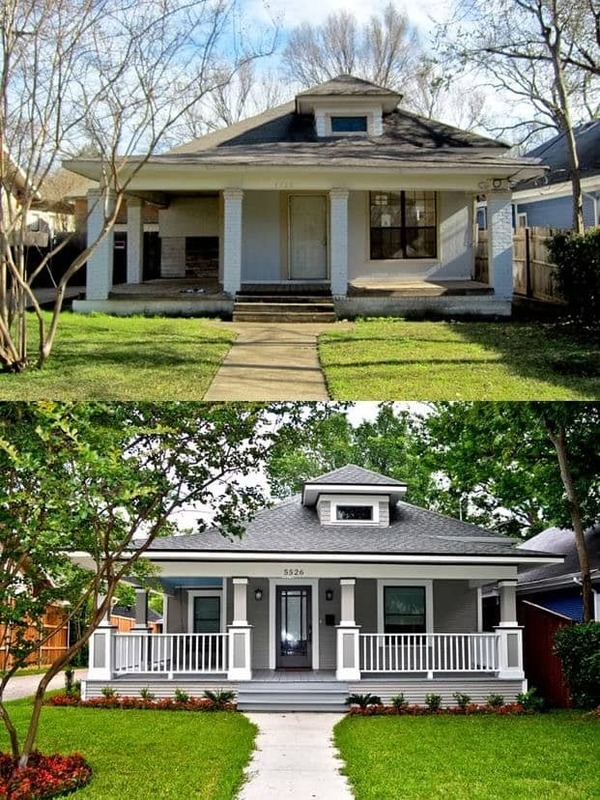 A 203k loan is a great way to buy a hidden gem and completely transform it. Fun fact – it gets its name from the National Housing Act. The details for this loan are contained in “Section 203(K)” of the law. Mortgage companies aren’t the most creative, so the name stuck, but you will sometimes hear these called 203k “Dream Home” loans. I told you, not super creative. Like a construction loan, home buyers receive extra money when the home is purchased, and they can use those funds to rehabilitate or remodel the house. Unlike a construction loan, this program falls under the FHA guidelines, so they are much easier to qualify for. To start, FHA loans have a much lower credit score requirement – the minimum requirement is 580, sometimes even lower. 203k loans also have a much lower down payment requirement. Instead of 20% of the home price, borrowers can put as little as 3.5% down. For that $400,000 home we talked about earlier, you would only need $14,000 for a down payment instead of $120,000. For the first time home buyer, this is much easier to swing. With a lower minimum credit score & significantly lower down payment requirement, buying a fixer-upper becomes a possibility with a 203k loan. What improvements can you make with a 203k rehab loan? We’ll dig into the different types of 203k loans in our next article, but for now I just want to point out that you can use them to purchase a new home that needs work, which is great for someone wanting to buy a fixer-upper. You can also refinance your existing loan with a 203k loan, which would let you make improvements on your current house. So what improvements are covered? 203k rehab loans are very broad in their scope. You can use the money for minor repairs & updates, as long as the total cost is above $5,000 (the minimum amount to use a loan like this). You could also virtually reconstruct the house – the foundation just needs to remain in place, you could tear the house down and completely rebuild it. A rehab loan like this leaves you with a lot of options. Making updates to systems like heating, air conditioning, plumbing, or electrical. Improving the living space. You can turn that attic into a bedroom, or add an outdoor patio or deck. 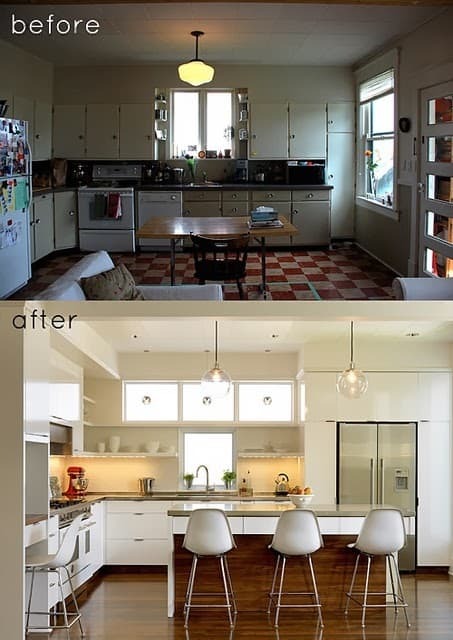 Making cosmetic updates like remodeling a kitchen, adding a bathroom, or updating the flooring. Ideally, these updates will increase the value of your home, and you will get a return on your investment. But make a note, not all projects are created equal! House logic did a survey and found that some home improvement projects had a better return than others. How much money can I get with a 203k loan? The FHA makes it really simple to calculate how much you can get for repairs or upgrades. First, the total loan amount must fall within the FHA guidelines for your area. These limits are usually determined at the county level. The national limit for FHA loans is $271,050. However, there are many exceptions to this, and for some counties this amount can go as high as $625,500 – it all depends on where you live. To see what the limit is for your county, you can start here! 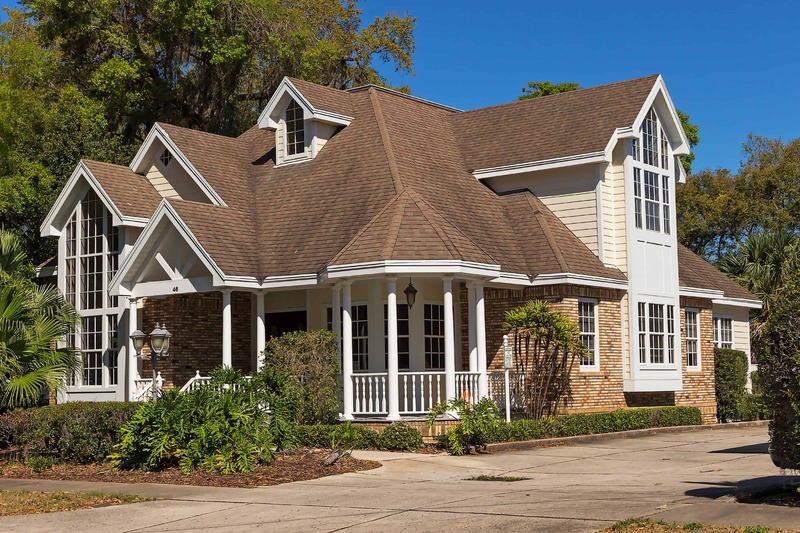 The loan amount includes the cost to purchase the home AND the cost of repairs – the total amount needs to be less than the county lending limit. Did you catch that? Prior to closing the loan, the mortgage company will have an appraiser estimate what the home will be worth after the construction is complete. They will give you enough to either cover the cost of purchasing the home & completing the repairs, or 110% of the value of the home when it’s complete, whichever is lower. We’ll cover the actual process of getting a 203k loan & how they work in another article. But it’s important to know that the lender doesn’t just wire this money into your bank account. A 203k loan requires you to submit a construction plan, called a “work write up”. When your loan closes, your money will be wired into an escrow account. As the work is completed, the money is released and given to the contractors. Unless you do the work yourself, you never actually touch the money – this protects the lender & makes sure the work is actually done on the house! You can close the purchase before rehab/repair work is done – Closing the purchase means the seller & your real estate agent both get paid upfront. There is no risk to them. From the seller’s perspective, there is nothing different when you use a 203k loan. In a competitive market, they may even appreciate the fact that you’re going to update the house. It may make you more competitive when you submit your offer. Only one loan closing – As mentioned above, you only pay closing costs once. Your funds for construction are put into escrow when the loan closes, and then dispersed to the contractors when the work is complete. The seller can pay up to 6% towards closing costs – this is standard for FHA loans, but not applicable to some construction loans. Many people don’t realize that closing costs are a negotiating point – and if the market is right, the seller can cover the closing costs on your 203k loan. Mortgage insurance (aka PMI) – This has less to do with 203k loans specifically, all loans with less than 20% down require this. But still, you can end up paying quite a bit every month in mortgage insurance. The loans might take longer to close – These loans are slightly more complex then an average FHA loan. You’ll have to visit the property multiple times, get bids from contractors, and put together your “work write up”. These things are all minor, but you might want to add 15 – 30 days to your escrow to account for the delay. You might not get a return on your investment – It’s easy to make “bad improvements”. Make sure to consider whether or not your repairs will actually increase the value of your home before you remodel. An extra bathroom is going to increase your home value, a three story waterslide not so much – you’re not the kid from Blank Check. This is the first article of our 203k series. Over the next few weeks we’ll cover the different types of 203k loans, what it takes to qualify, and how to buy your own fixer-upper using a rehab loan. Make sure to sign up for our newsletter below so you don’t miss out! 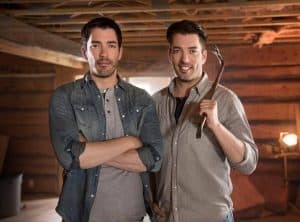 *Flippa-dippa Ding Dong is not a real house flipping show. But you know that. If you were confused by the video of that teenager crooning over some sweet 80’s synths, get educated here.